California man turns up alive 11 days after his funeral — so who's in his grave? 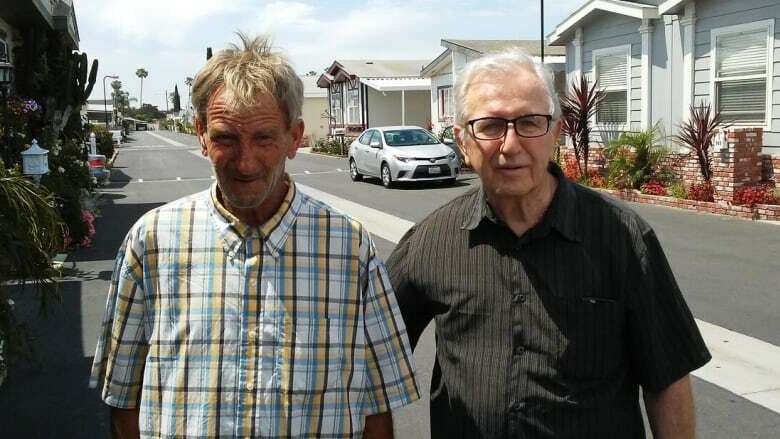 Carole Meikle thought her homeless brother was dead and buried — until he turned up alive and well on a friend's doorstep. For almost two weeks, Carole Meikle thought her brother was dead and buried. "Nobody suspected anything," Meikle told As It Happens guest host Laura Lynch. "We buried my brother. My dad buried his son. My family mourned. We had people come from all over. We wholeheartedly thought my brother was in heaven — until 11 days later, when we found out he was not." The mix-up began on May 6, when a homeless man was found dead behind a Verizon store in Fountain Valley, Calif., The Orange County Register reported. 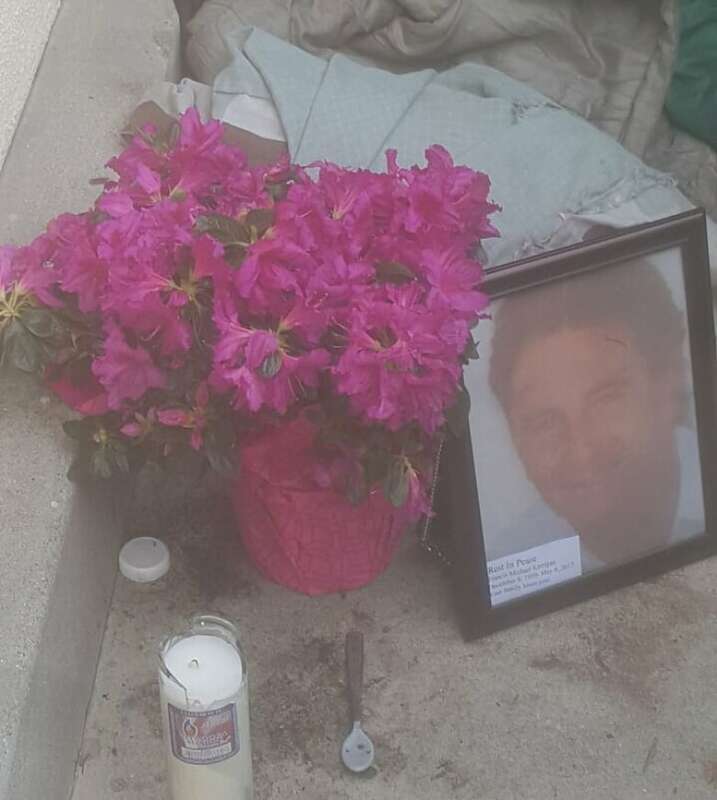 The Orange County Coroner's Office identified the deceased as Meikle's brother, Frank M. Kerrigan, 57, who is mentally ill and had been living on the street. Meikle said she was "devastated" when she got the call. She gathered up materials for a makeshift memorial — a framed photograph of her brother, a candle, flowers, rosary beads, and a card that read "Your family loves you" — and drove to the spot where he supposedly died. "There was blood all over the ground and there was dirty blankets and it was horrific. At the time, I didn't know any of the circumstances. I was very concerned that something bad had happened besides just a death — that, you know, something catastrophic had happened because of the scene that I saw," she said. "Obviously, I was very upset. I broke down. I was crying." One of the store's employees asked her if she wanted him to pray with her. She took him up on the offer. "It was a very, very difficult ordeal to live through." After the initial shock, the family set to work giving Kerrigan a worthy send-off. On May 12, they held a $20,000 US funeral that drew about 50 people from as far away as Las Vegas and Washington state. It was a full Catholic mass. Kerrigan's brother John gave the eulogy, and the body was interred at a cemetery in Orange Count about 40 metres from where Meikle's mother is buried. Then on May 23, Meikle picked up her phone from the repair shop and saw she'd been inundated with missed calls from family members. "I thought, 'Oh my God, somebody else died,'" she said. "But, in fact, the news was good news. You know, it was a miracle, if you will." Her brother was alive. He'd showed up earlier that day on the doorstep of his childhood friend Bill Shinker, who had been a pallbearer at his funeral. Shinker, she said, called Kerrigan's father, Frank Sr., and said: "Your son is not dead. He is very much alive, and he's on my patio." It's still unclear how coroner's officials misidentified the body. Doug Easton, an attorney hired by the senior Frank Kerrigan, said coroner's officials apparently weren't able to match the corpse's fingerprints through a law enforcement database and instead identified Kerrigan by using an old driver's licence photo. The elder Frank Kerrigan, 87, told the Register he volunteered to ID see the body when he first got the call, but was assured his son had been identified through fingerprints. "When somebody tells me my son is dead, when they have fingerprints, I believe them," he said. The coroner's office said they tried the fingerprints again and on June 1 learned they matched someone else's. They're not releasing the name publicly until they can notify his next of kin. In a statement issued Saturday, he said the Orange County Sheriff's Department is conducting an internal investigation into the mix-up and that all identification policies and procedures will be reviewed to ensure no misidentifications occur in the future. "But it has been nearly a month," Meikle said. "They did nothing until Saturday night when the story went viral. They never reached out to my family. They never extended an apology. They never did anything." And Meikle suspects she knows why. "The due diligence, the process that would be given to any citizen was not given to my brother because of his station of life," she said. "This would not have happened to a regular citizen. Somebody just decided this was a throwaway person, and you know, let's just get this done." 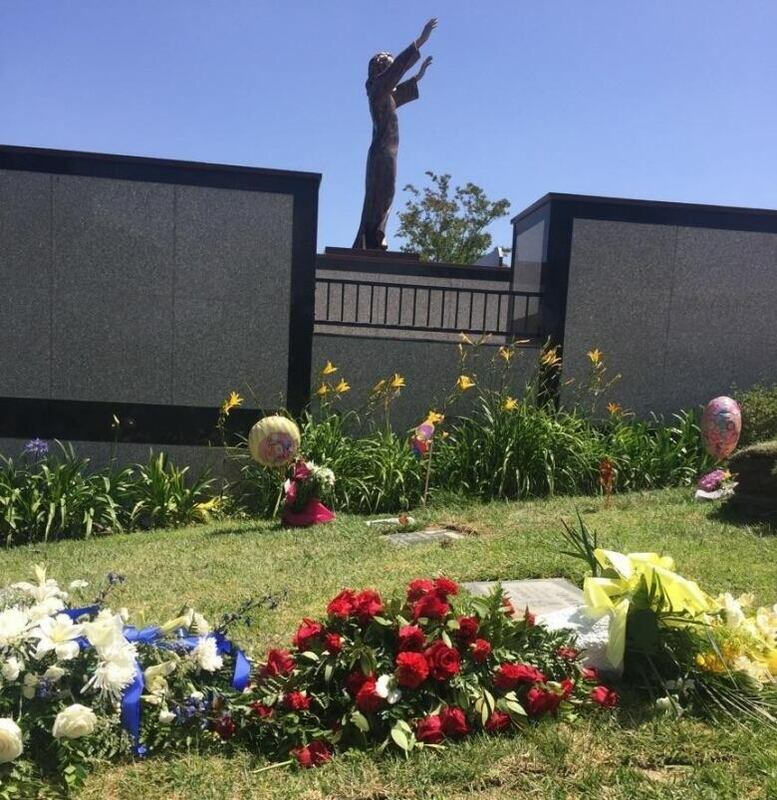 Now she's left wondering: Who is buried next to her mother? In its online statement, the coroner's office said the stranger's body would remain in the Kerrigan family burial plot "until his family can be found or all efforts are exhausted." "It's desecrated to my family, desecrated," Meikle said. "They're leaving him in another man's grave." And there are other complications. When Kerrigan was officially dead, the federal government to stopped his disability payments. The family is working to restore them. Meikle said her brother chose to return to living on the street and doesn't understand how hard the mistake was on his family. She said he has a history of disappearing for weeks and refusing offers for help or shelter. "With his situation, obviously, when he came back to life, his mental health issues did not go away," she said. "He had the same issues we dealt with prior with him for 15 years." The family is now planning to sue, alleging authorities didn't properly try to identify the body as Kerrigan's son because he is homeless. The coroner's office said it could not comment further due to pending litigation. "It's neglect," Meikle said. "It's a horrific situation."